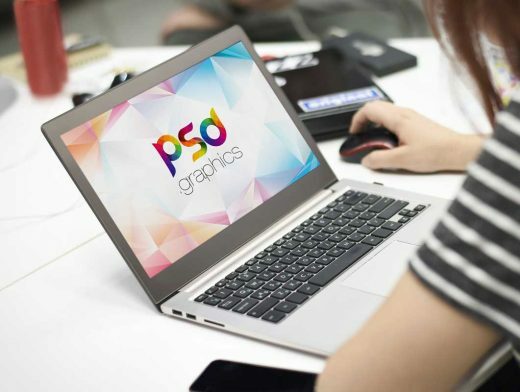 Download Female Working on Macbook Mockup PSD. This Macbook mockup Free PSD showing a women working on a laptop in a office environment. It is exceptionally good for showcasing your own web and ui design projects. It’s a professional and photorealistic mockup features smart objects to display your designs in few simple clicks. Just add your own image on screen and showcase your designs in a unique and professional way.